Oh boy! Spring! You're here! Here, let me go grab a frisbee! Wait...Winter? 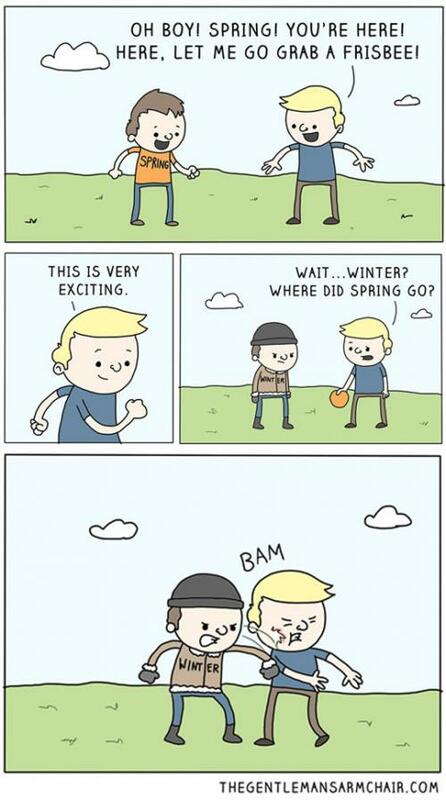 Where did Spring go?